India is renowned for producing some of the world’s most eminent scholars and award-winning thought-leaders, and is at the forefront of a global education revolution. The country leads the way in advances in learning and educational development, and boasts some of the most prestigious and lauded educational institutions, which are on par with the finest higher learning establishments in the world. To showcase India’s prowess as a global-leader in education attainment as well as to demonstrate the country’s vast potential as a hub of learning and development, SkillTree Knowledge Consortium, India’s first syndicate of private universities and institutions founded by Mr Shekhar A. Bhattacharjee, has launched unique initiative titled ‘SkillTree Great Place To Study – India Edition’, powered by Lavasa Corporation Limited, a subsidiary of HCC (Hindustan Construction Company). The event is being organised in association with Sterling Media, a respected international brand and business consultancy, established over 19 years ago. ‘SkillTree Great Place To Study – India Edition’ will comprise of two high-profile events on Tuesday, 24th June 2014 at iconic venues the House Of Commons and Madame Tussauds in London. The event marks the first international education convocation of its kind in London to profile some of India’s most established and respected educational institutions. The aim is to position the selected Indian colleges and universities as proven leaders on a global platform, and to cement India’s position as an educational destination of choice by the global student fraternity. At the House Of Commons a special presentation of certificates to20 of India’s top educational institutions will take place led by Mr Bob Blackman MP, the Conservative MP for Harrow East and a member of the Communities and Local Government Select Committee and Backbench Business Committee.The presentation will be followed by a prestigious gala dinner at the world-famous Madame Tussauds, and will feature an awards presentation and entertainment programme to honour some of India’s most esteemed educational institutions. There will also be awards presented to honour six of the UK’s most enterprising, innovative and successful British Asian business leaders and public office dignitaries, who have all played their part in promoting educational and trade opportunities between the two countries. 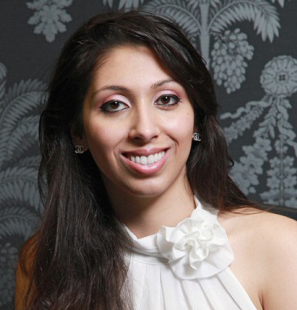 Natasha Mudhar, CEO & MD of Sterling Media, commented: “All of us at Sterling are delighted to be partnering with SkillTree for such a worthy event. SkillTree Great Place to Study will enhance the reputation of some of India’s most distinguished educational institutions across the globe. The importance of having access to a good education is something that cannot be overemphasised. Attracting the best and the brightest to India will support this cause by enriching the academic environment, enhancing quality and bringing in new resources to the community. SkillTree Great Place to Study – India Edition’ will enable attendees to experience first-hand the Indian education success story, a benchmark for international standards, led by some of the country’s oldest colleges and universities, at a truly memorable, inspiring and innovative event.